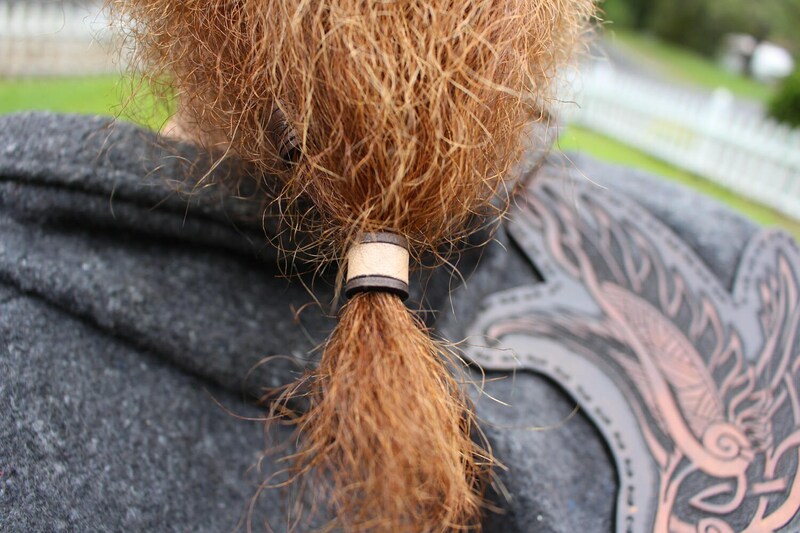 These unique little viking hair/beard beads come in 2 sizes and 3 colors, each one has been hand crafted and designed in house, every beard bead is hand cut, tooled, dyed, sealed and hand sewn. Featuring a hand classy design. 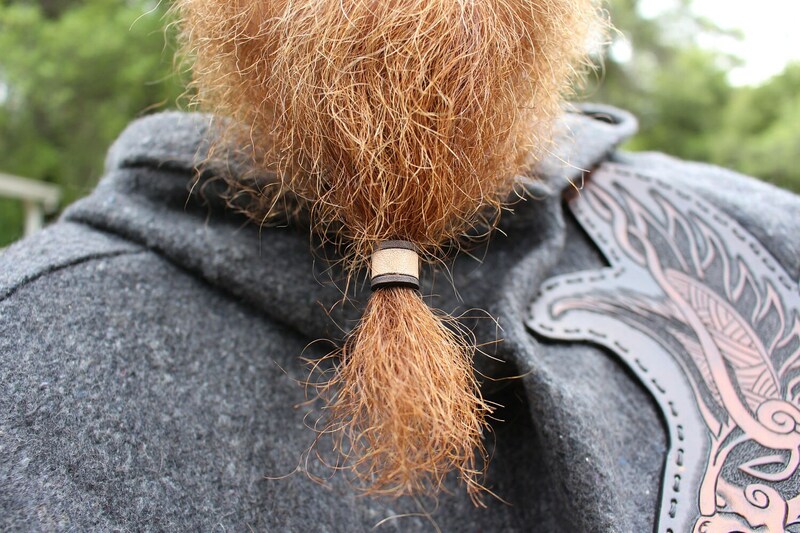 Absolutely beautiful craftsmanship! 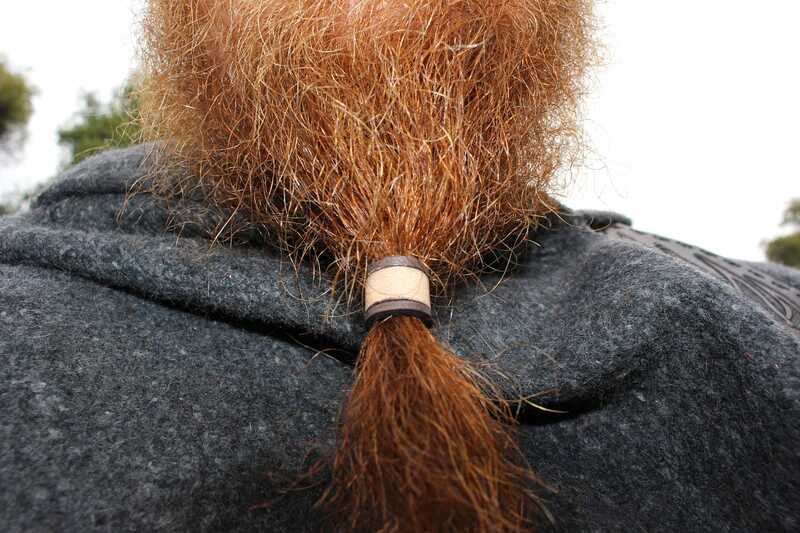 This was a gift for a male friend and his unruly beard and he adores it! 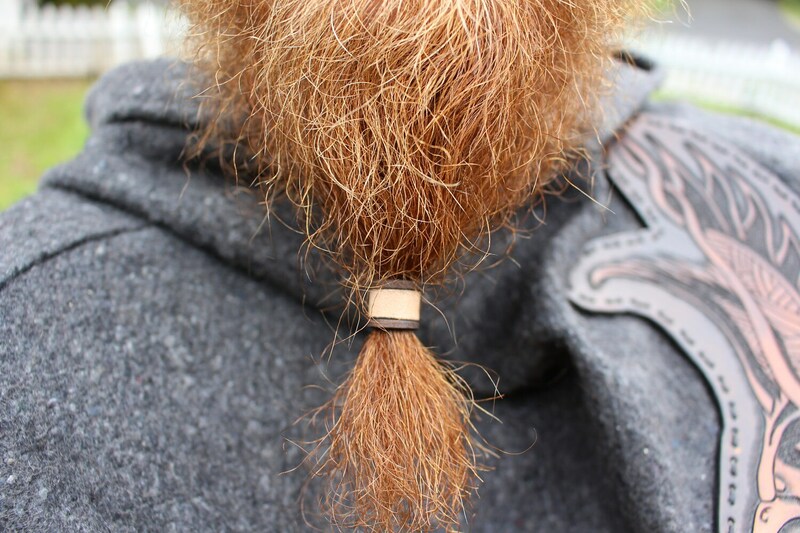 It’s the only beard bead I’ll ever need. Love them! We need more to play with. Make the longer spiral ones able to buy more than one! !